From office fitouts, office refurbishments or medical practice fitouts, we've got you covered. The Cooper Group team have over 30 years experience in designing and implementing commercial fitouts and refurbishments. Whether you run a small business or major corporation, we are committed to providing the highest quality workmanship to every client. You are in good hands with Cooper Group, our team of architects, designers, project managers and co-ordinators, site managers and tradesmen will look after your project as if it was their own. 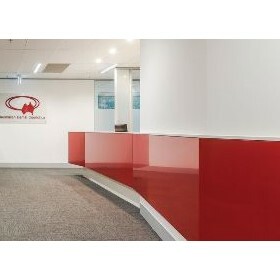 From our head office in Melbourne we can transform office spaces and medical practices throughout Australia. From the initial concept right up to the completion of your fitout or refurbishment, Cooper Group Australia will deliver an efficient workspace to you, on time and on budget.